Welcome to Las Vegas, Nevada. 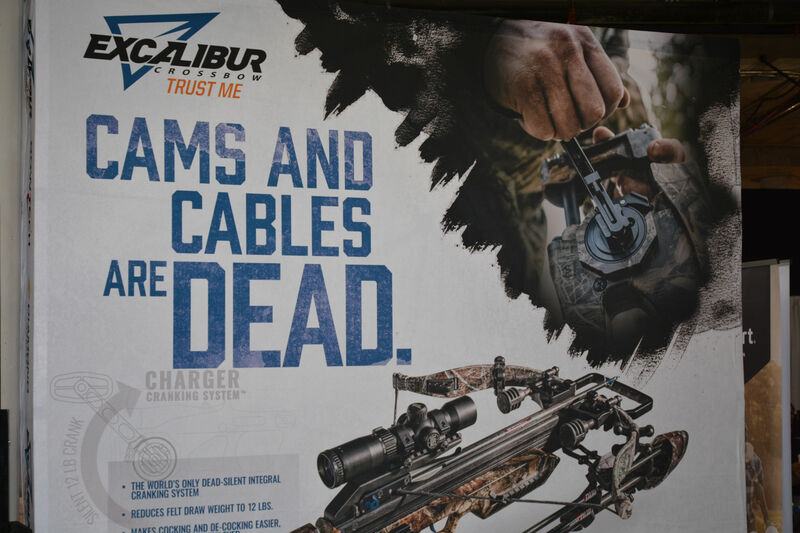 Home of the 2014 Shooting, Hunting and Outdoor Trade Show; a.k.a. 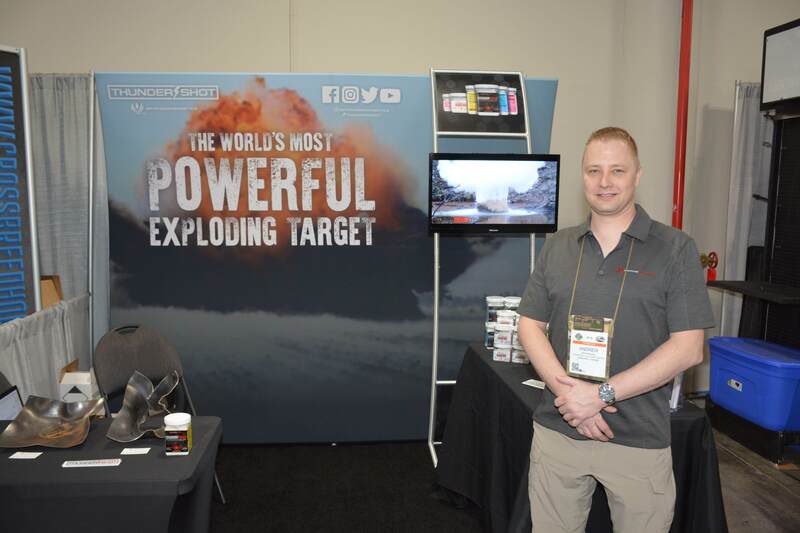 2014 SHOT Show. This years show was held once again at the Sands Convention Center from January 14th to the 17th and would once again draw people from all over the world. 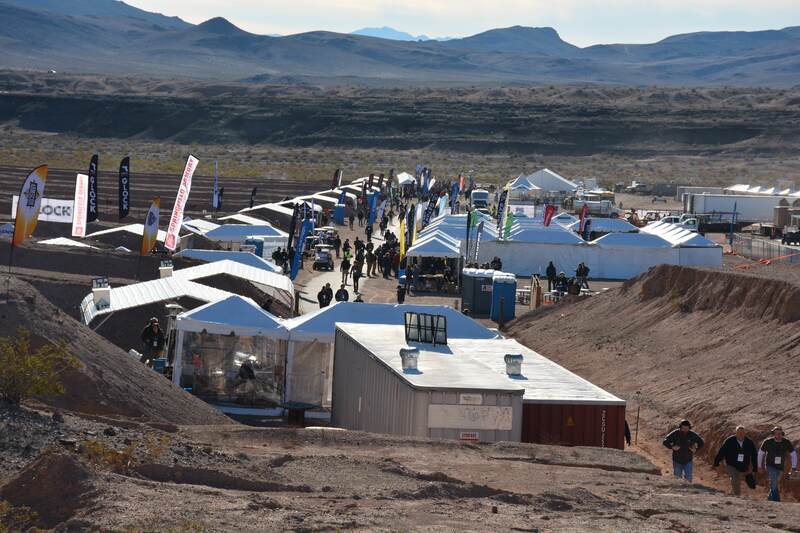 TPF Online arrived Saturday to an absolutely brisk 20°C with nary a cloud in the skies. 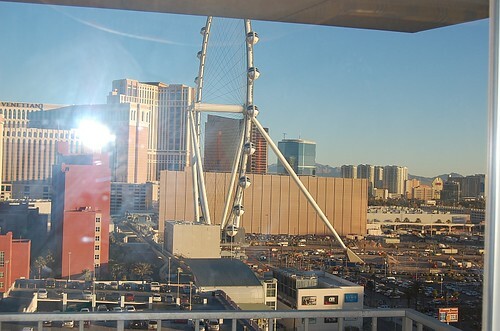 This type of weather would continue for the entire duration of TPF-Online’s presence in Sin City. Fast forward to Monday morning at Media Day, where TPF Online was on site and shooting suppressed .308 AR platforms by 8:05 in the morning, Kriss Super-V fully automatic suppressed SMG’s around lunchtime and followed in the afternoon by shooting trap with KSG’s and Beretta tactical shotguns… TPF also got to play once again with the IWI Tavor akin to the one being raffled off by Gun Owners of Canada; sign up and you can win! After the extreme joy of Media Day, the next four days are purely SHOT Show and many kilometres of aisles. Over 1600 exhibitors were present and displaying their wares and sales staff across 5.3 hectares (13 acres) of floor space and divided by 20.1 Km (12.5 miles) of aisles. 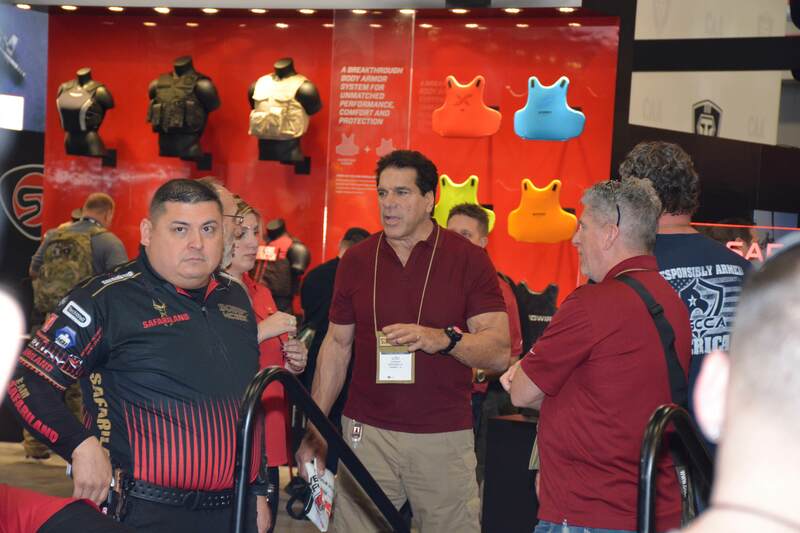 As a tidbit of information, note that the SHOT Show is the 16th largest trade show in North America, and attracts exhibitors and attendees from every US state and over 100 countries. 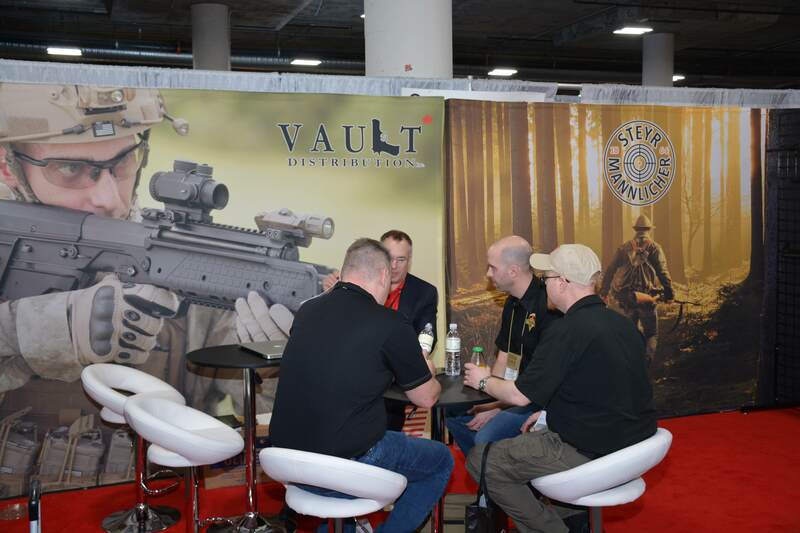 Canada’s hunting, shooting, and outdoor trade industry is valued at roughly one billion dollars annually, and at the SHOT Show the value of the products on the show floor is equal to that. Most people do not realize that Canada is a huge marketplace for firearms, especially for manufacturers from the USA. For every 1,000 guns that are manufactured in the USA, approximately 96% are for domestic usage; sold via retail in the USA. That leaves roughly 40 guns that are exported per 1,000 produced, and Canada imports 35-37 of those. So in 2010 there were 5.5 million firearms manufactured in the USA, which roughly translates into roughly 150,000 US manufactured firearms imported into Canada annually. When you add in all the remaining imports of firearms from other countries, plus the few remaining Canadian manufacturers, it becomes apparent that the Canadian firearms industry is alive and well. 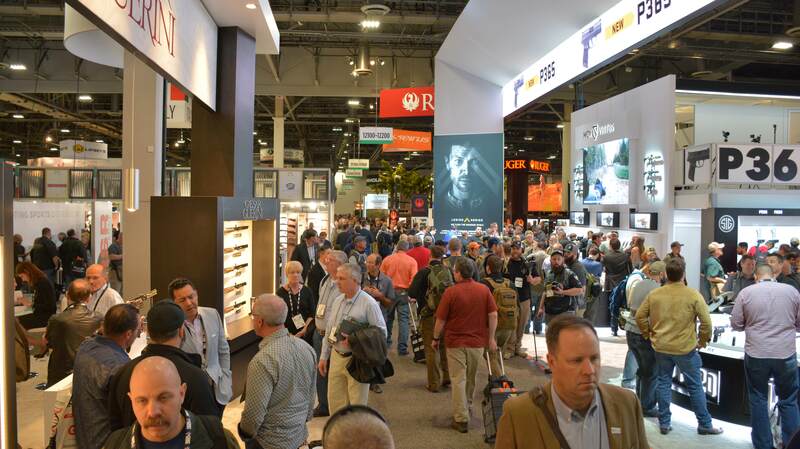 Borrowed from http://www.shotshowblog.com, this is a panoramic view of the chaos of SHOT Show. 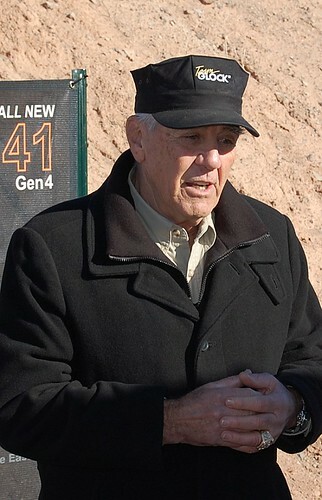 R. Lee Ermey, aka “Gunny” is almost a staple of these shows. 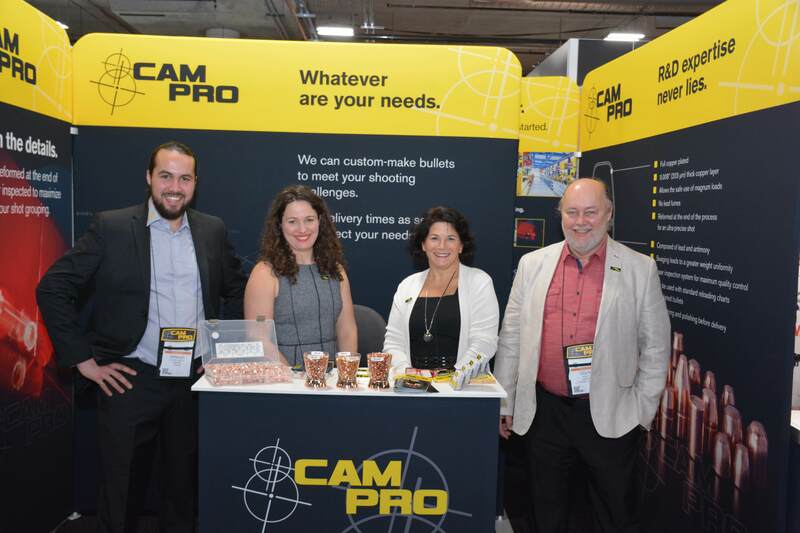 The Canadian Shooting Sports Association decided to host an event during the SHOT Show as most of the industry would be in Las Vegas that week to renew contracts and create new ones regarding firearms, ammunition, accessories and all things similarly related. TPF was present and from discussions with attendees and CSSA representatives, the event was beyond expectations. Hosted at the Flamingo Hotel in Las Vegas, the event was originally to be held in the Reno Room, but was shifted at the last moment to the Laughlin Room. There were representatives that reached across the gambit of the Canadian firearms industry. Manufacturers, Distributors, Retailers, and Media were present for the event which had 150 or more attendees at its peak. Both Gun Owners Of Canada and CanadianGunNutz, the two largest Canadian firearms web forums were there as was Calibre Magazine, the only firearm magazine published in Canada. Other media celebrities were there as well such as Scott Funk of YouTube famous Funker Tactical, and Brian Lovig of the Daily Split, among others. There was some nicely present food trays of meats, vegetables and fruits, and the CSSA was fairly liberal in giving out drink tickets that evening. Unfortunately a couple of people left a bit early, but most attendees were present for the 9pm prize draws. Given away at the draws were several shirts, a bottle of Champaign, a heavy-duty backpack, and the grand prize, a Bug-A-Salt. This event had come a long way from the informal resort/hotel room get together with a score of individuals. 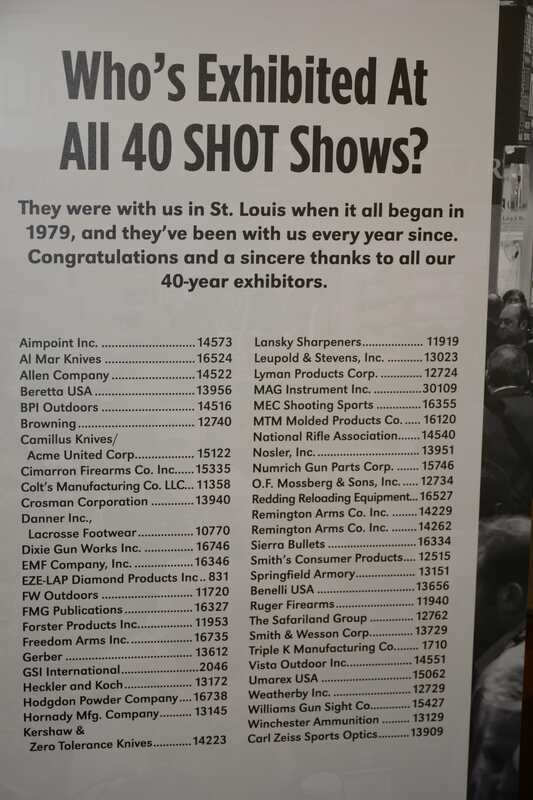 So many thanks should be given to the CSSA for their initiative in hosting such an event, to the sponsors for making the event possible, and for all the attendees who made this first Canadian Industry SHOT Show reception as smashing success. Obviously many thanks should be given to the sponsors of the event so please feel free to click the links, buy their products or products offered by them and help our industry become even better. To those in the industry, TPF recommends you join the CSAAA if you have not already. Why? As the CSSA is roughly the Canadian equivalent to the American NRA, the CSAAA is the Canadian equivalent to the NSSF in America. 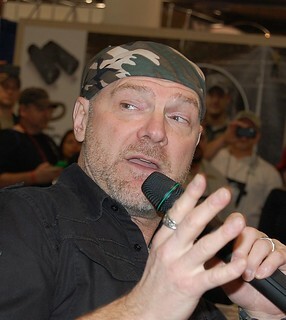 The lists of people of greater than average fame, whom are present at SHOT Show are in the several scores of numbers. 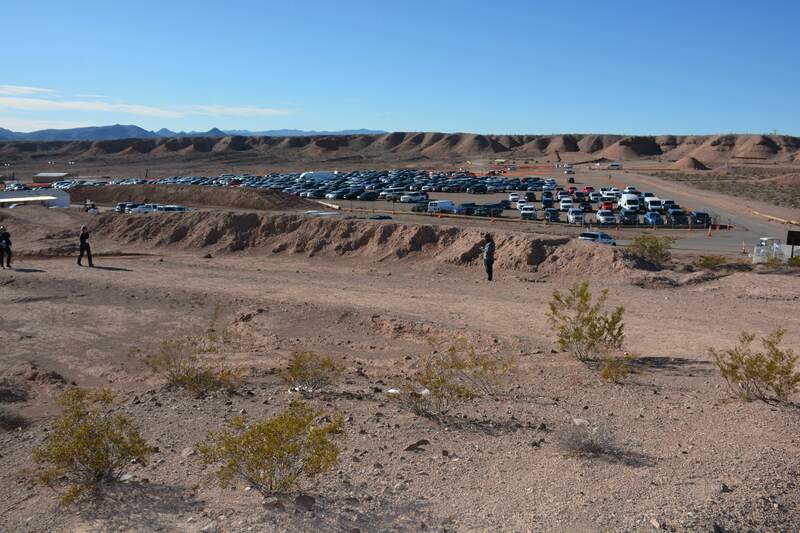 The number of attendees increased by 5,000 above last year’s total, to an excess of 67,000 attendees. As always there are literally hundreds and hundreds of new product launches at the show as well as celebrity endorsements for them. 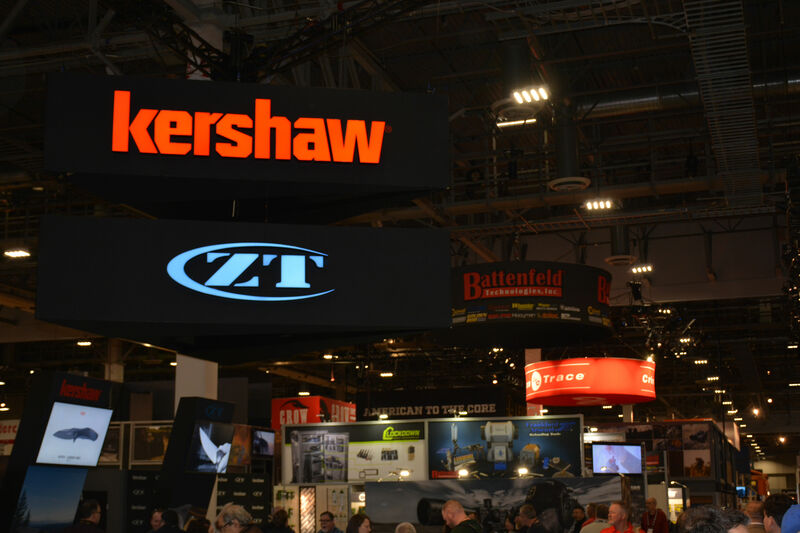 Whether the items are existing, revised, revamped, resurrected or truly new, the SHOT Show is where dealers will see it for their respective customers. TPF Online is lucky in that this was the eighth (8th) SHOW Show that was attended, and not a year goes by that something new is not learned or brought back to Canada. 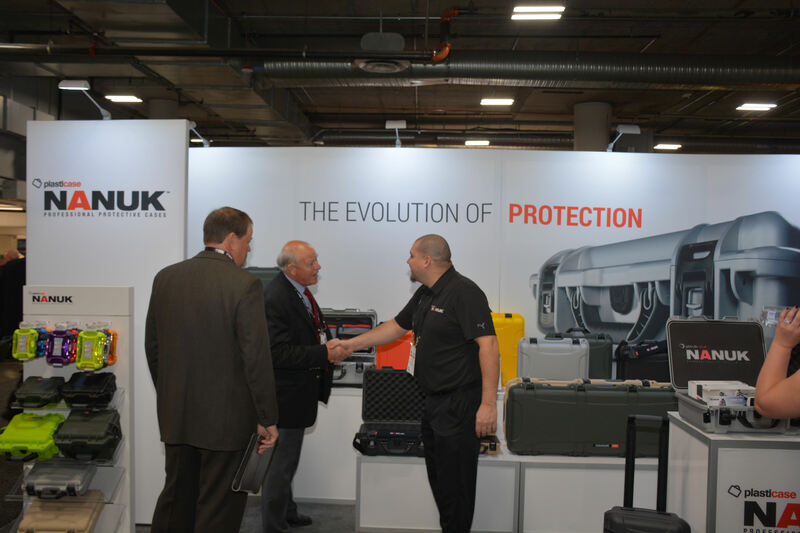 Hopefully you will be able to attend a SHOT Show in the future if you have not already. 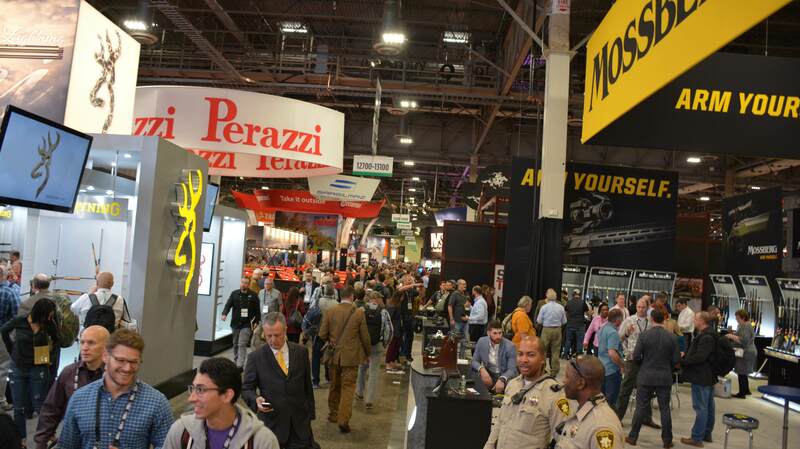 SHOT Show 2015 is once again held in Las Vegas, Nevada. At the Sands Convention Centre once again from January 20th-23rd, 2015. 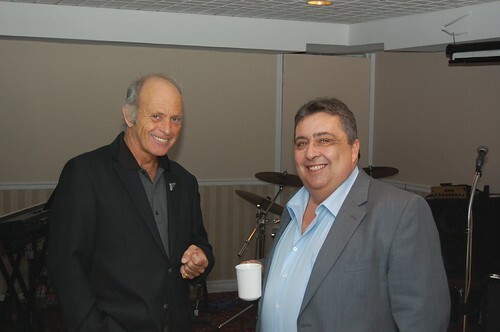 We at TPF are looking forwards to it and the next CSSA Canadian Industry Gathering. October 31st, 2012 – Halloween to most, yet millions celebrate for a different reason! The resounding answer by firearms owners across Canada? Hell Yes! As of October 31st, 2012 it is official. Canada has finally rolled back a small piece of the great white elephant called C-68. 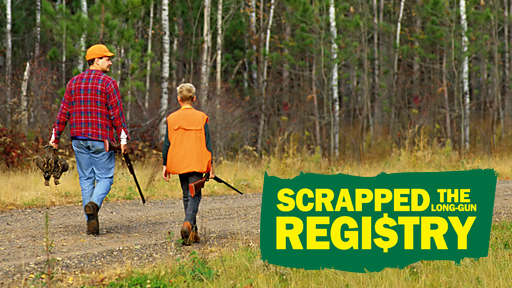 The long gun registry, that is the registration of non-restricted firearms, has finally been completed. At least everywhere but the province of Quebec. On May 2nd, 2011, Canadian elected a majority Conservative government which had as one of it’s campaign promises, to scrap the ineffectual long gun registry. Eleven months later on April 5, 2012, Bill C-19 received royal assent and the official end to the registration of NR firearms began. It is only now, another 7 months later that the actual records themselves are being destroyed, but not until after many many attempts by bureaucracy to subvert the intent of the new legislation. Lets see a time line of the trials and tribulations which trying to stymie the process. February 2012 – House of commons votes on third reading and Bill C-19 passes to the senate with the vote 159-130. May 2012 – Chief Firearms Offices try and argue that C-19 only means omission of recording registration ID numbers of firearms and attempts to keep enforcing filling of all other data into the CFO registration ledgers by businesses via business licence requirements. June 2012 – Government enacts legislation to prevent recording of ANY personal information as part of conditions of a firearms business licence. Now those that actually read the list will note that there currently is not a resolution in Quebec yet. The registration data is still being recorded in Quebec. This is obviously the sore point in the whole resolution of Bill C-19 and total destruction of all things regarding non-restricted firearm registration. The current federal government has vowed to take the Quebec challenge to the highest levels of court to have the data deleted on par with the rest of Canada, however it will take time because the wheels of Canada’s legal system are unfortunately slower than pouring frozen molasses. So what does this mean? For 9 Provinces and 3 Territories, the “Long Gun Registry” has finally been laid to rest. Kudos to the hard work put forwards by dedicated individuals such as Tony Bernardo, MP Garry Breitkreuz, all the staff and volunteers of the Canadian Shooting Sports Association and of course thanks to all of you! The firearms owners of Canada who have helped with volunteer efforts, donations, writing letters, talking and interacting with political figures, spending their valuable time and energies focused on one goal, to improve the laws regarding firearms for responsible shooters. We at TPF congratulate ALL those who have helped, from donations of pennies to shouldering the running of trade shows. Without your efforts all of what we do would be impossible. HOWEVER! We cannot stop here, there are far more things that need to be done and changes to be made. One small step for repealing bad gun laws, one giant leap for crushing ridiculous gun control agendas! Since its inception back in 1999, the Canadian Shooting Sports Association has held a fundraising dinner which has since become known as a “Stick to your Guns” dinner. Originally an annual event, this dinner has been expanded to be held several times a year in various locations across Canada. These dinners have had such notable speakers like Sandra Froman (former NRA President, 2005-2007), and long time supporter and a true friend to Canadian firearms owners, MP Garry Breitkreuz. In recent years a specific annual version has become linked with the CSSA’s Annual General Meeting, and this one was held on April 28th in Gatineau, Quebec. The last time the author was in the region, the city of Hull had not been amalgamated into Gatineau and the author had barely begun to become involved with firearms. It seems so long ago, but the city and region hold many worthwhile attractions for visitors. So if you get a chance, please ensure that you visit one of the many museums in the area. Now, as this was to be the first of the CSSA AGM’s held in the province of Quebec, there was some anxious times for organizers leading up to the event as turnout was an unknown factor, but all the their worries were for naught. Nearly ninety (90) individuals braved the somewhat chilly weather to attend the CSSA AGM, of which roughly half were from the province of Quebec. With many questions asked by individuals in attendance and a great wealth of information about the efforts of the CSSA, the AGM was alive and resulted in a large volume of information disseminated to those in attendance. As always the CSSA is humbled by the sheer volume of support from its membership, and hopes to be able to do even more in the coming months and years both domestically and abroad. With the AGM wrapping up just after noon on the Saturday, the CSSA had decided to arrange a tour of parliament for the late afternoon prior to the fundraising dinner and this was available for attendees of the AGM. TPF was unable to attend the tour, but had heard that the tour was phenomenal with people being right on the House of Commons floor and sitting in both the seats of the Honorable Andrew Scheer, Speaker of the House as well as the Right Honourable Stephen Harper, Prime Minister of Canada. The entire structure of the parliament building is a monument to history and grand construction of generations gone by. With exquisite stonework and inlaid patterning, it is amazing how well made the building is when one considers that the wiring and plumbing is nearly completely hidden from casual sight as you walk through out the building. A pair of great people, Brian Lovig (l) and Tony Bernardo grin in anticipation of a great evening! At 6:00pm the “Stick to your Guns” dinner officially opened and began the festive evening, with it being the first CSSA fundraising dinner since the historic April 5th, 2012. This was officially coined as the 1st Annual Dead Registry Celebration, as it occurred mere weeks after the historic passing of Bill C-19. Even with some last-minute scrambling for setting up the prize tables, the evening proceeded with very little snags and errors. With Tony Bernardo being the Master of Ceremonies and Mr. Brian Lovig of the Daily Split being a co-host, the evening was anything but dull. Not one, but TWO speakers were in attendance that evening with Mr. Garry Breitkreuz being the initial speaker and telling about the trials and efforts that have been endured and overcome by the CSSA and those who believe in firearms freedom. The keynote speaker was mister Phil Morlock, one of North America’s leading experts in promoting heritage outdoors activities that include hunting, sport shooting, fishing and trapping. The praise which came from the mouths of these two individuals was humbling to the CSSA but also invigorated those in attendance to continue to stand up and fight for the Canadian firearms community. 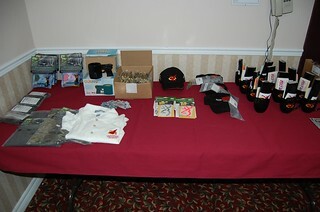 Ranging from pens to gun-mugs, hats to gun socks; the door prizes alone were numerous and varied. With good food and nearly one hundred attendees, the dinner started off on a great note and the sheer number of prizes were astounding. There were many spectacular prizes available and the top ones were two of the four rifles available that evening. 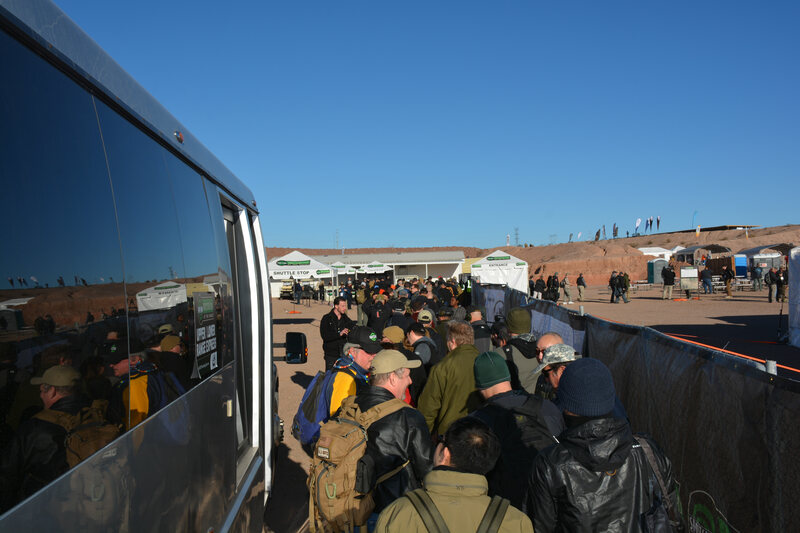 To quote the host’s repeated mantra, “Did we mention that these rifles were UNREGISTERED?” Many thanks to those who won the Chaparral Winchester Model 1866, the Carl Gustav 63 target rifle, and the plethora of prizes that were available. Many thanks must also go to Mr. Brian Lovig for his professional assistance in auctioning off some prizes, such as the Model 1866, to the attendees. Some of the raffle draws were very well received and quite innovative such as the Joker Draw which was a beautiful stainless Ruger 10-22 rifle with laminated wood stock. The catch? There were only 12 tickets available so it was a 1 in 12 chance to win. Just amazing and so well received by the audience. 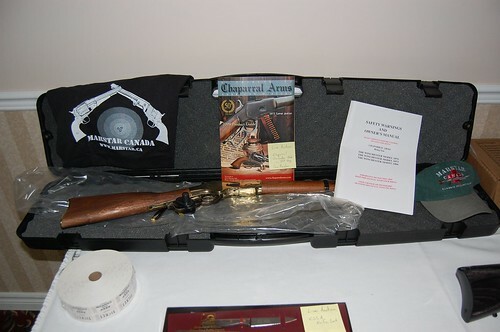 The grand prize of the evening was this beautiful Chapparal Winchester 1866 chambered in .357 Mag. 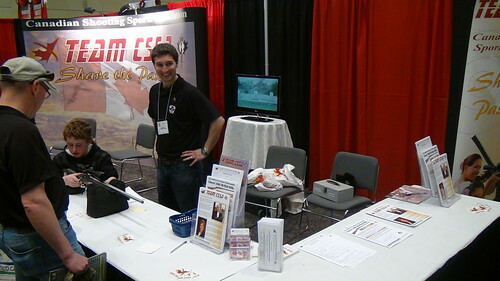 Many thanks to John @ Marstar for his support of the CSSA and these events! A special thanks to the following for their support and help in what was a truly extraordinary evening. These companies and individuals are part of Team CSSA and contribute to the success of the organization to keep the fight in the face of the gun grabbers and ensuring what is accomplished is lasting and stays beneficial for Canadians. After all the food had been eaten and all the prizes had been doled out to winning attendees, the evening was far from finished. The CSSA went the extra step and provided a live band for the remainder of the night. “Reloaded” was a garage band made up of some veteran and professional talent from the ranks of the CSSA itself. Armed with his Gretsch guitar, Tony Bernardo lead the group with professionalism, Rob Alexander invoked his keyboard with practiced skill, Brant Scott wailed with purpose on drums and Dave Weston put up the backbone bass with fingers flying. With the occasionally addition vocals provided by Tony’s daughter, Kira; the night was filled with electricity and was possibly the finishing stroke in completing a picture perfect day of energy and enthusiasm. Many thanks to all who helped make the entire day a memorable one and hopefully TPF will see you again next year at yet another CSSA AGM, if not sooner at more of these fund-raising dinners. April 5th, 2012 – Fighting for over a decade and a half, finally a win. April 5th, 2012. Registration of non-restricted firearms has ended. It was 16.5 years ago, specifically December 5th, 1995, that Bill C-68 had received royal assent by the Liberal Government of the time and under the watch of the Prime Minister Jean Chrétien. C-68 was the beginning of the most recent level of totalitarian “gun control” in Canada. Firearms classifications had been enacted back in the late 1960’s which first started the whole notion of restricted and prohibited classes of firearms as well as the government’s ability to classify firearms with an Order-In-Council. Here TPF gives a basic rundown of “Gun Control” in Canadian history. 1934: The first version of modern registration of all Handguns occurred in Canada. Registration was done by the local constabulary. 1939-1944: During the wartime shotguns and rifles were required to be registered as well as handguns. This was used to confiscate arms from Canadians during the wartime period such as those who were placed into Japanese Internment Camps and suspected Axis sympathizers. After the war the act of registering shotguns and rifles was discontinued, yet handguns were still to be registered. 1951: Registration of handguns was centralized and under the auspices of the RCMP. Automatic firearms are required to be registered alongside of handguns. 1977, August 5th: Bill C-51 receives royal assent and introduces the Firearms Acquisition Certificate (FAC) and many firearms are classed as prohibited due to fully automatic capabilities. People could no long carry restricted firearms for defence of property. 1991, December 5th: Bill C-17 receives Royal Assent which enhances scrutiny of FAC system with more rigorous identification and background checks, but at this time the FAC is still only required to acquire a firearm. A firearms safety competency requirement was attached to the FAC process. 1995, December 5th: Bill C-68 receives Royal Assent. A new licensing system is introduced to replace the FAC system as well as a complete rewrite to the criminal code and the introduction of the Firearms Act. Firearms themselves are now illegal to possess unless you have a valid license. ALL firearms are now required to be registered. C-68 was a huge piece of legislation which was fraught with many many gaping errors and obvious poor judgement, at least apparent to anyone who used firearms for legal purposes. There were numerous sections of the bill which had the firearms community, the top firearms experts, and many in government opposed to its passing. The sheer scope, convoluted wording and sledgehammer like repercussions were well voiced to those who wrote the bill. The bill was so massive and unwieldy that it was to come into force nearly 3 years later, December 1st, 1998. In September of 1998, where over 30,000 individuals had joined together on parliament hill in the “Fed-Up II” rally against Bill C-68, then Justice Minister Anne McLellan ignored the gathered firearms owners and instead addressed solely the media. She stated “The debate is settled. 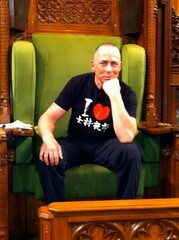 The debate is over.” For years following there would be delays and small changes and updates ad nauseam to Bill C-68. It was not until January 1st, 2003 that the entirety of C-68 officially came into force. It took over seven (7) years to implement the bill and have enough people “enroll” into the new control regime and have it officially launch. Now in general, the government of the time was either lying to Canadians or at best feeding them incorrect information as by the time the Bill C-68 fully came into force, the proponents claimed that the 2 million Licenses and 8 or so million firearms represented 97% of the firearms owners and firearms themselves in Canada. These numbers have since been proven to be not only incorrect but an order of magnitude out of scale. In 1945 the total number of Registered Firearms was nearly 2 million in number. Fast forward to 2001 and when you include known import and export records (not illegally smuggled guns) and include a small percentage for destroyed/damaged/broken/disposed firearms you are at nearly 16.5 million guns. By 2003, only 100,000 handgun owners had acquired a license, down slightly from the 400,000 who had FAC’s. The sheer volume of people who did not comply with C-68 should have been a wake up call to the government of the time. Sadly it wasn’t. Then in 2006, change happened. The Liberal government was ousted from it’s position as official government of Canada. A political entity which did not irrationally detest firearms ownership assumed the mantle of government. Prime Minister Stephen Harper and the Conservative Party of Canada took office and tried numerous times though a variety of introduced bills to remove at least the registration of non-restricted firearms. Some bills additionally covered far more onerous aspects of the firearms act, and on occasion the bill introduced was worse than what was before. However, on October 25th, 2011; Bill C-19 was introduced into the House of Commons. It’s target? To eliminate the entire process of registering Non-Restricted firearms and to destroy all accumulated data records of such firearms. Now the province of Quebec has, at the time of this writing asked for and received a temporary injunction regarding the data and registration of firearms in Quebec, but this injunction is to allow for an evidentiary or preliminary hearing regarding the case. This hearing is to determine if the case can be brought before the courts (jurisdiction) and to determine if there is any chance of such a case succeeding from presented preliminary evidence. For the rest of Canada however, this means that the registration of non-restricted firearms is finally rescinded. Many people are even calling April 5th, Mini-14 Day, as a form of insult and snub towards the anti-gun fanatics who have deemed the Ruger Mini-14 as the foremost symbol of why “Gun Control” should exist in Canada. The snub is intentional as the zealous gun-grabbers refuse to admit that it the tool used to commit violent criminal acts is just that. A tool, be it a gun, blade, vehicle, fist, club, or any other item used to inflict malicious harm is not the cause of the harm. It is the person who is committing the violent act. Period. But alas, such truth and unassailable logic falls upon the deaf ears of the fanatical anti-gun activist. With the temporary injunction set to end at 5 PM (EST) today, Friday the 13th, many individuals are awaiting to see the final outcome of this hearing. Quebec will already get its day in court sometime in June, regarding the transferring data of Quebecers contained in the non-restricted registry; but the current arguments before the court is to determine if the injunction will remain in effect until that case is settled. The current government has vowed to not allow the existing data to be used to creat a provincial registry. Either way it seems that it will be a long drawn out process to see the outcome of this case, and of Canada’s firearms community hopes for the best possible outcome for their Quebec brethren. That best event? The final nail in the coffin that is registration of non-restricted firearms. TPF Online thanks all those individuals whom have championed and fought through these last decades to make this event a reality. Lets help them out and continue to fight for sensible laws which target and punish the criminal element! How many readers can remember “March Break” as a time when one was glad to be out of the classroom for a week and enjoy what was supposedly the end of winter. It has been a long time for the author since school work and study dominated his daily routine, but “March Break still holds some semblance of freedom and desire, and that is the annual Toronto Sportsmen’s Show. As with each and every year, the city of Toronto becomes a focal point for tens of thousands of individuals who attend a multi-day event which is billed as “Canada’s Biggest Fishing & Outdoor Show”. 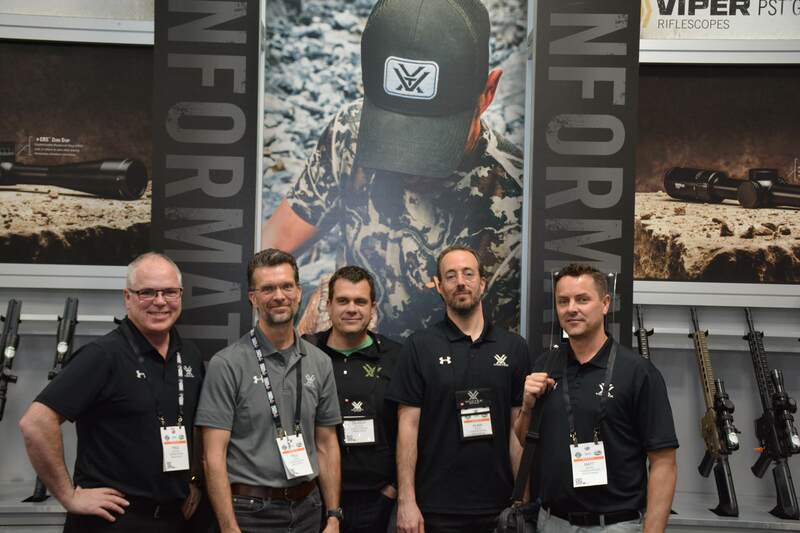 The Toronto Sportsmen’s Show, hereafter referred to as TSS, started six and a half decades ago and has growth to encompass hunting, fishing, outdoor adventuring and to the surprise of many Toronto natives… GUNS! 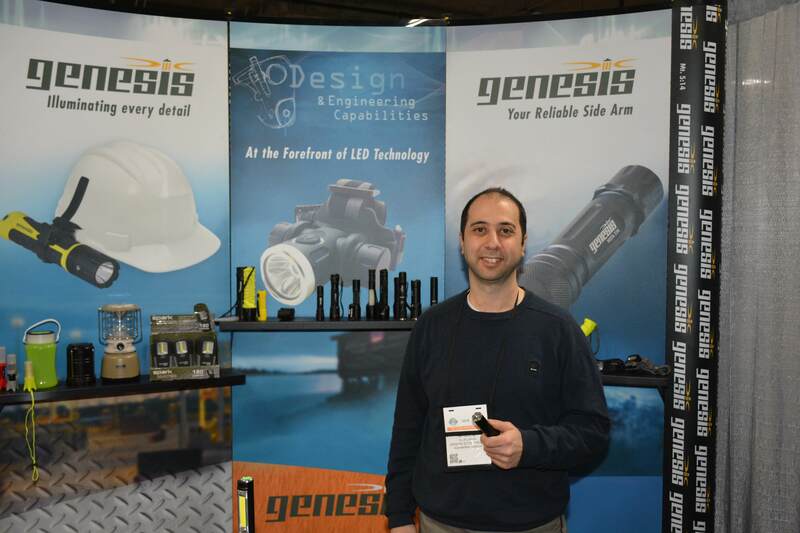 With the show located on numerous levels and across two buildings at the Metro Toronto Convention Centre (MTCC) from Wednesday the 14th of March until Sunday the 18th, the show was host to several hundred exhibitors and multitudes of individuals. Please allow a bit of reflection however on the history of the TSS. For sixty two (62) years, the Toronto Sportsmen’s show had existed in one form or another as an annual event located at the Canadian National Exhibition grounds (CNE), but due to the unfathomable machinations of, the previous Toronto Mayor, David Miller; forced the show to relocate to the MTCC in 2010. Why Miller’s anti-gun zealotry deemed it necessary to destroy so many decades of history and pride is beyond comprehension. Now on its third year away from the CNE, the TSS is once again running what is now their 65th anniversary. 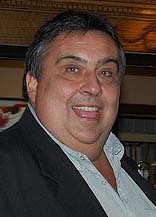 It was estimated that the City of Toronto lost nearly $14 million of revenue when the show shifted locations, the reason being that all revenue from the MTCC flows to the province of Ontario, not the city. Fast forward to 2012 and Toronto Mayor Rob Ford is opening the show which he has attended since he was a child and the hunting hall is growing. 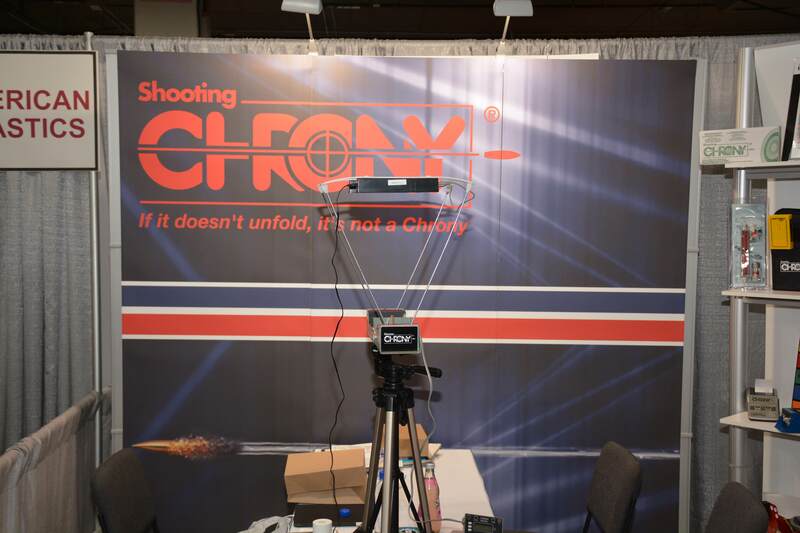 As always, the Canadian Shooting Sports Association was present at the TSS and with the help of many volunteers was able to once again have a successful show in terms of membership growth and engaging in discussion with probably thousands of individuals throughout the duration of the show. Many thanks to CSSA Regional Director Gus M. who volunteered far more than what was asked of him and to Mr. Andrew Craig of Canadian Reload Radio fame who brought in his custom centre-fire silhouette rifle and a small video which was a great draw and topic of discussion. The CSSA thanks all who helped them with another successful show and as always the main topic of discussion was the demise of the Long Gun Registry (which TPF is proud to state just passed clause by clause reading in the senate as the author edits this entry). 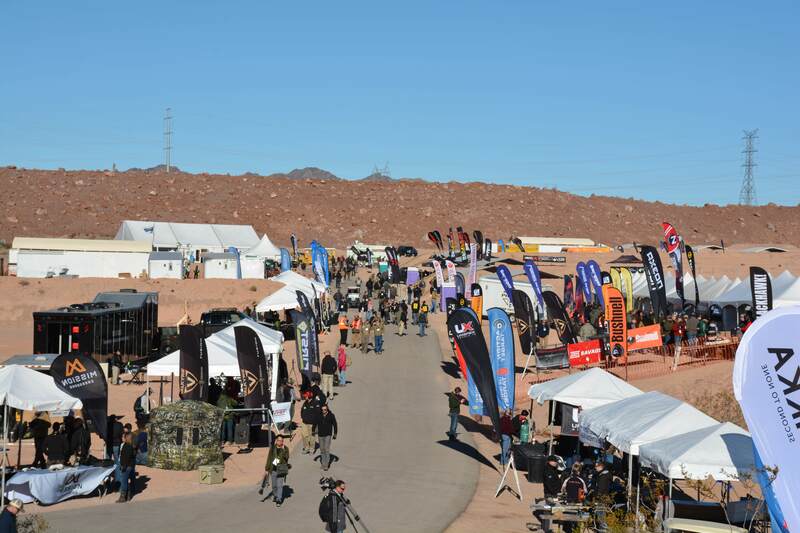 Over the five (5) days of the TSS, several tens of thousands of attendees were able to experience a full gambit of outdoor pursuits as the show caters to the public and the newest wares and a “One stop shop” for nearly every outdoor need. In fact many attendees left the show in possession of products which were impulsive purchases in the first place. TPF however will concentrate this TSS review in the Hunting Hall aspect of the event. As always the primary focus of the Hunting Hall aspect was for Outdoor adventures such as hunting, hiking, boating, with additional luxury products as well as some interactive displays and pavilions being present. 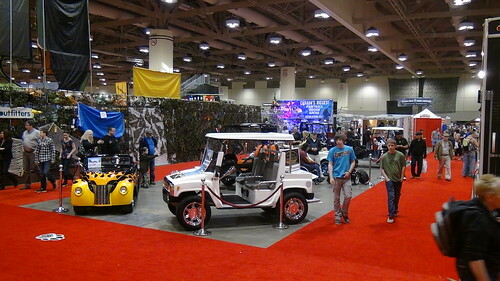 Custom ATVs and Golf Carts were some of the higher end, luxury products on display as well. This year was a slight departure from the norm, not only were there far more firearms on display for sale by retailers, this year represented the first time in many years which restricted firearms were for sale, let alone on display. Many thanks to Tactical Imports, whom took the first step, with the assistance of Mr. Tony Bernardo and the CSSA, were allowed to bring in some of there more “exotic” firearm products for the public to not only view order from them. 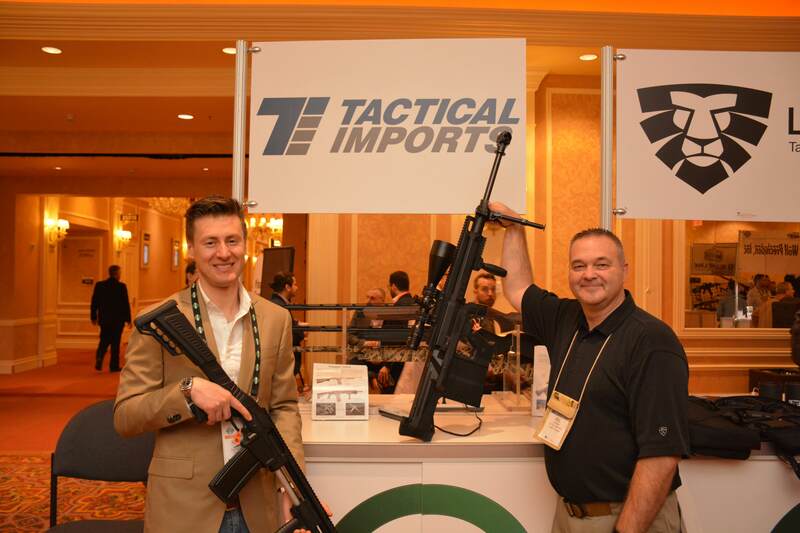 Initially the TSS was refusing to allow Tactical Imports into the venue as it did not fit in with the traditional “Hunting” definition. 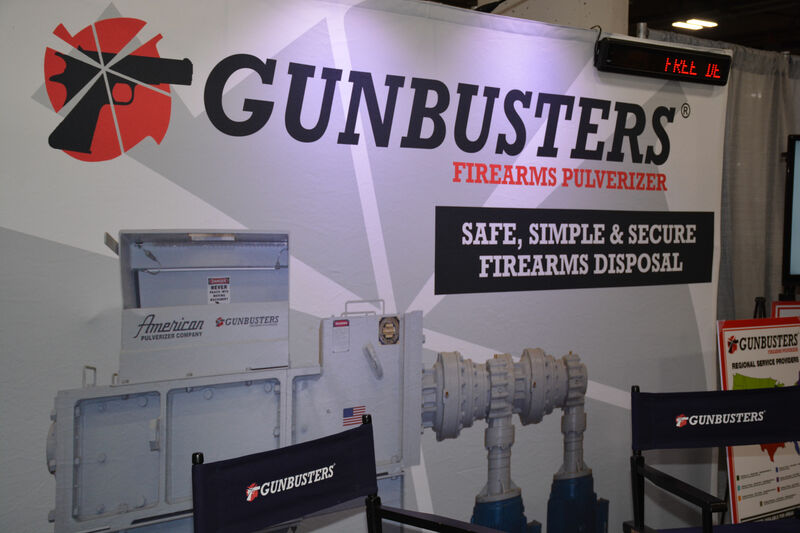 When pointed out that many of the exhibitors, such as that depicted in the previous luxury product image, had little if anything to do with “Hunting” and that a firearm is a firearm, the TSS removed their objections and Tactical Import set up their display. 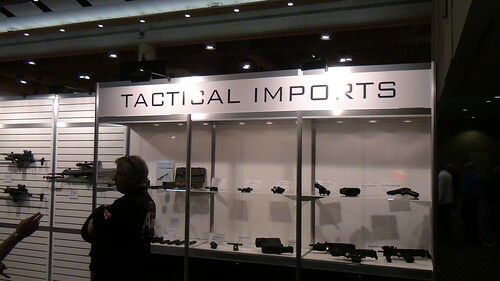 Showing both non-restricted and restricted firearms in their booth, Tactical Imports has started what may be a growing trend by other exhibitors/retailers at the show. At least that is the hope of TPF-Online and many attendees whom we talked to. 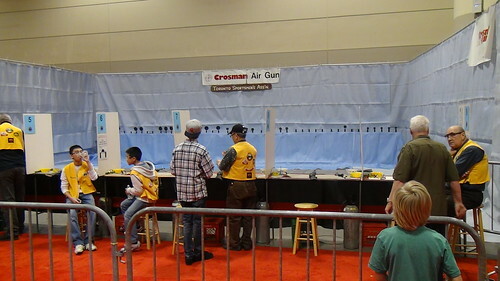 The Toronto Sportsmen's Association has run the air-gun range for many years at the TSS. Encouraging our next generations into the joy and fun which can be had in our shooting sports. As always some things never seem to change and that is a good thing in the case of the Toronto Sportsmen’s Association (TSA). The TSA crew has been coming to the TSS for many many years, and has always been the ones who have run the air-gun and archery ranges at the show. 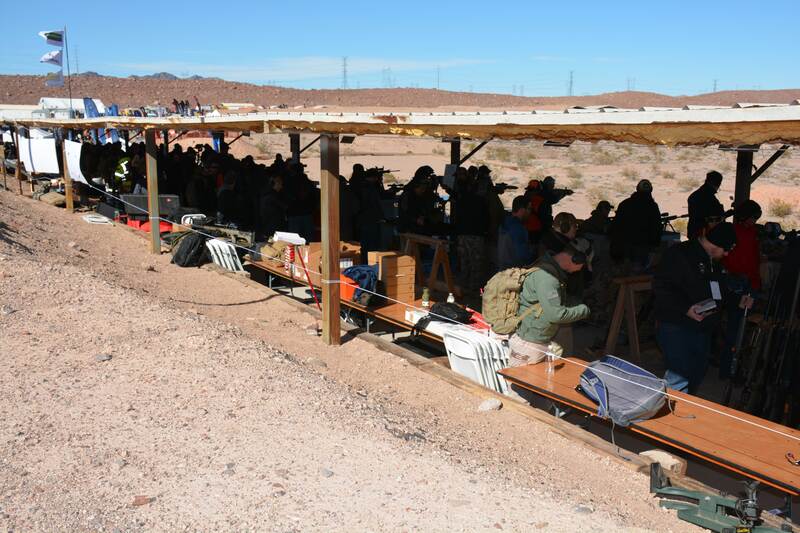 They are a truly exceptional group of individuals who continuously are to be thanked for exposing the future generations to the shear enjoyment that is available in shooting sport disciplines. Many thanks to Mr. Edwards and his volunteer crew for all his time and efforts over the past several years for continuing to provide exceptional public awareness and hands-on experiences like these for our youth. 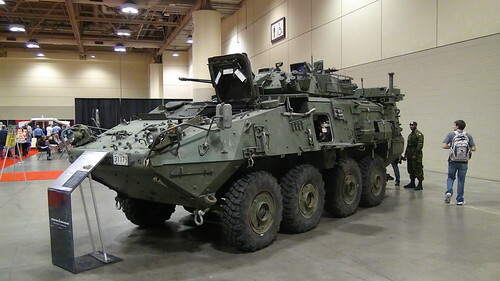 The Canadian Military has been present as well in the last few years with an ever increasing display of equipment and public outreach. The author ensured that every one of our men and women in uniform whom was met at the show was thanked for their service and their efforts. TPF-Online will side step here briefly and state for the record that Support The Troops ribbons, pins, and decals are not being pro-war, but pro-survival. One does not have to believe in the circumstances which led to Canadian military involvement, but we should all wish our fellow brothers and sisters in uniform to come home safely and with as due speed. A full gambit of military hardware was present for display for TSS attendees to look at, ask questions about, and receive answers. 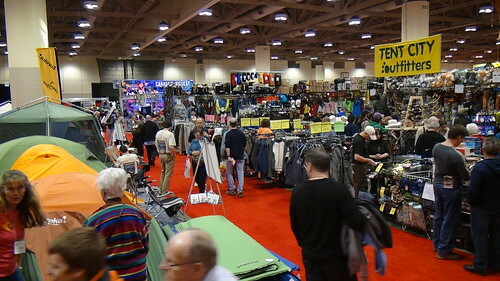 The Toronto Sportsmen’s Show is an annual event and it looks as though it is starting to grow out of the “traditional” mold of what constitutes our hunting aspects of outdoor recreation. That being said, the TSS is a huge endeavour which caters to the outdoors-man in most people in the Toronto region. So if you do not mind paying for parking and what some claim are excessive admission fees, you too can experience “Canada’s Biggest Fishing & Outdoor Show” every year. As TPF-Online looks forwards to next year’s show once again, we put forward the standard question: Is the Toronto Sportsmen’s Show; Tactical, Practical or Fantastical? Video games such as Call Of Duty, Battlefield, and other first person shooters have greatly increased the appeal of firearms to the younger generations. For this TPF cannot apologize, as despite knowing that such video games turn violence into a hyped up and marketable commodity, it has done more to get the next generation of shooters into the sport than almost any other combination of approaches. That in itself shows how much farther all shooters need to reach to not only accept the newest members of our sport and hobby, but how much they need to get off their own derrieres and teach the unknowing masses what they are missing. Unfortunately it seems that fewer people nowadays are hunting and the reason for that is because for the last couple decades, firearms have become publicly of crime and unlawful activities. Nothing can be further from the truth as 99.9% of firearms owners are caring, safety conscious individuals who, outside of hunting and wilderness survival, would find it very difficult to ever commit any form of violent act against another living creature. 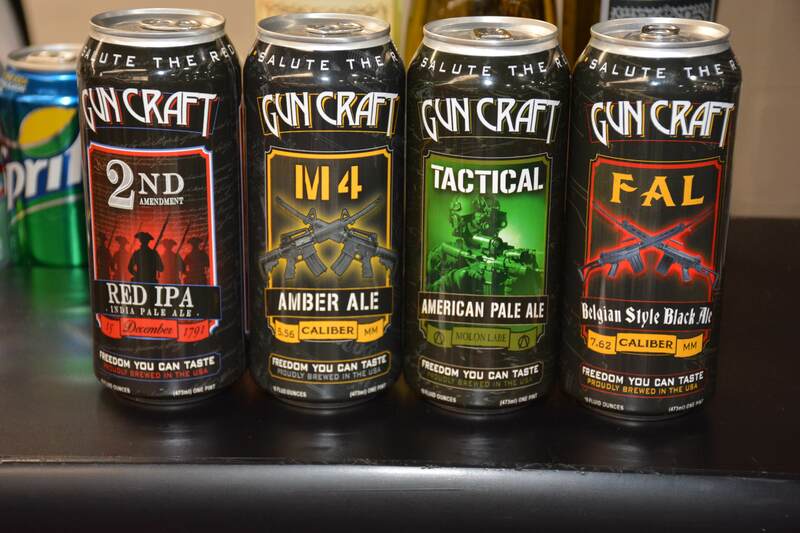 TPF authors personally know individuals who are firearms owners and refuse to even consider playing paintball or air-soft games for the simple reason that to play those games one would have to point a “gun” at another person. That being said the author has no issues with paintball, nor air-soft, as both are akin to the firearms community. They build teamwork, camaraderie, and just as actual firearms usage, safety is the number one responsibility of all those involved. 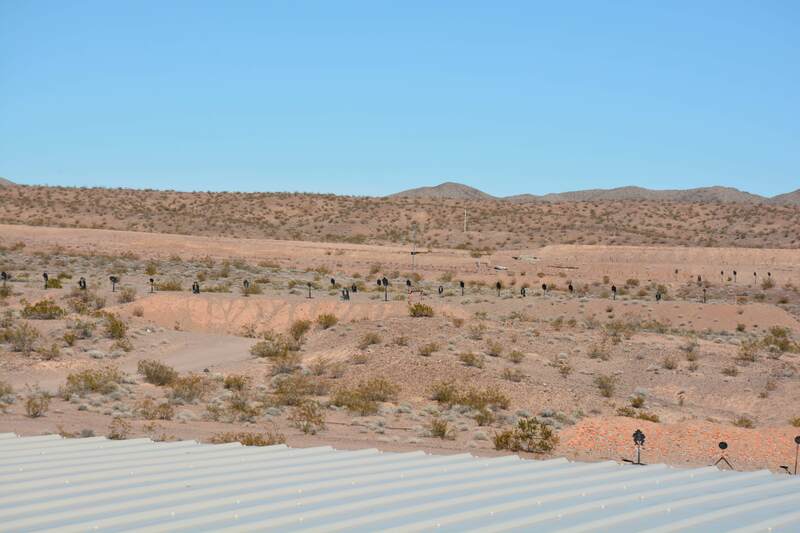 While hunting with firearms appears on the surface to be in decline, the reality is that more and more shooters are gravitating towards handguns, “black rifles” and action shooting sports. Readers should recall that in June 2011, TPF did indeed mention some of the various action shooting disciplines available to people. This time around TPF-Online is proud to have been able to enlist several individuals who compete professionally and have them give a tip or two about what to do if you are interested in this category of extreme sports. Be advised that many of these shooters are based in the United States and have a much more prominent network for action shooting information and contacts. Getting into Action Shooting – Part 1! – On behalf of TPF-Online and the CSSA! First up is Canadian shooter Sean Hansen. President of Freedom Ventures Limited, and a multiple IPSC Provincial Champion in Nova Scotia, is a strong supporter of action shooting and enjoys many years of good memories and experiences regarding his efforts in action shooting and has many more years to create more. Next up is Blake Miguez, whom at just over 20 years old holds the title of 2011 ISPC World Champion and is proof that shooting for fun can lead into more opportunities. The lovely and talented Julie Goloski Golob shares a bit of insight on the simple and easiest method of getting into action shooting. Talking to these individuals is a great pleasure for reasons mentioned previously. Such individuals are thankfully not rare in the action shooting sports, and by that TPF-Online is heartened by the open and welcoming attitudes which many, if not all, of these top competitors have. TPF hopes you the reader, and viewer in this case, hold your judgement until you see some more future shooting personalities in later installments, but as always; action shooting. Is it Tactical, Practical, or Fantastical? Jerry Miculek – The fastest trigger in the world and arguably the best revolver competitor that ever existed. Todd Jarrett – A world level competitor with millions upon millions of rounds of of experience and a great ambassador to the shooting sports as well.